The Business Intelligence Group announced that Chorus.ai, the number one conversation intelligence platform for high-growth sales teams, was named as a finalist in its Artificial Intelligence Excellence Awards program. 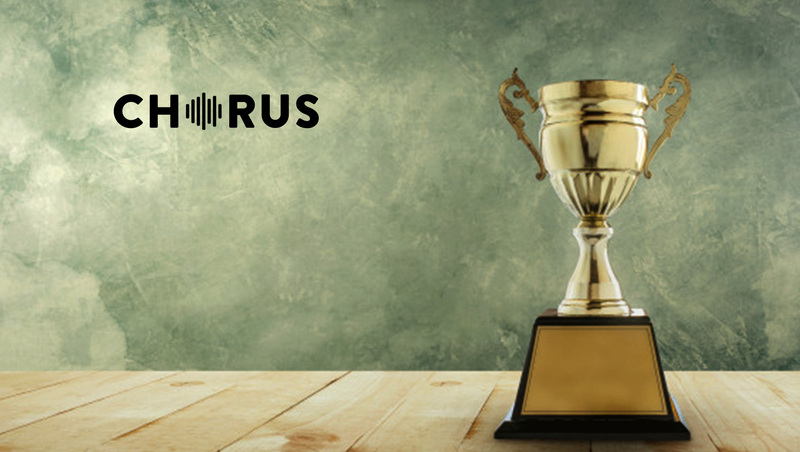 Chorus was recognized for transforming the sales technology space through Artificial Intelligence advancements utilized in its Smart Themes and Smart Playlists. This sophisticated technology applies unsupervised learning to proactively identify patterns within conversations, which it then automatically organizes into themes and playlists of relevant calls. Using AI in this application means that Chorus customers do not need to do any implementation or programming to get the benefits of the platform. Chorus’ AI will automatically learn important aspects of a customer’s sales conversations and analyze them against business outcomes. It then surfaces Smart Themes that are common across a sales organization’s conversations and will automatically start highlighting and tracking them across calls. Smart Playlists are the next step in the process to improve how leaders manage their sales teams. Managers can automatically curate a collection of their most important call moments to train reps. Whether it’s a collection of engaging discovery calls, high risk calls, or a designated place for a team film review, Smart Playlists are a powerful tool for reps, managers, and enablement leaders to drive higher performance.